In honor of the laser turning 50, here is a timeline of some of the more notable scientific accomplishments related to light amplification by stimulated emission of radiation (laser). We have also published an interactive version of the laser timeline, as well as a primer on laser basics detailing how lasers work. The laser would not have been possible without an understanding that light is a form of electromagnetic radiation. Max Planck received the Nobel Prize in physics in 1918 for his discovery of elementary energy quanta. Planck was working in thermodynamics, trying to explain why “blackbody” radiation, something that absorbs all wavelengths of light, didn’t radiate all frequencies of light equally when heated. In his most important work, published in 1900, Planck deduced the relationship between energy and the frequency of radiation, essentially saying that energy could be emitted or absorbed only in discrete chunks – which he called quanta – even if the chunks were very small. His theory marked a turning point in physics and inspired up-and-coming physicists such as Albert Einstein. In 1905, Einstein released his paper on the photoelectric effect, which proposed that light also delivers its energy in chunks, in this case discrete quantum particles now called photons. In 1917, Einstein proposed the process that makes lasers possible, called stimulated emission. He theorized that, besides absorbing and emitting light spontaneously, electrons could be stimulated to emit light of a particular wavelength (for more on the pioneers of the laser, see “On the Shoulders of Giants” by Lynn Savage, page 70). But it would take nearly 40 years before scientists would be able to amplify those emissions, proving Einstein correct and putting lasers on the path to becoming the powerful and ubiquitous tools they are today. April 26, 1951: Charles Hard Townes of Columbia University in New York conceives his maser (microwave amplification by stimulated emission of radiation) idea while sitting on a park bench in Washington. 1954: Working with Herbert J. Zeiger and graduate student James P. Gordon, Townes demonstrates the first maser at Columbia University. The ammonia maser, the first device based on Einstein’s predictions, obtains the first amplification and generation of electromagnetic waves by stimulated emission. The maser radiates at a wavelength of a little more than 1 cm and generates approximately 10 nW of power. 1955: At P.N. Lebedev Physical Institute in Moscow, Nikolai G. Basov and Alexander M. Prokhorov attempt to design and build oscillators. They propose a method for the production of a negative absorption that was called the pumping method. 1956: Nicolaas Bloembergen of Harvard University develops the microwave solid-state maser. Sept. 14, 1957: Townes sketches an early optical maser in his lab notebook. Nov. 13, 1957: Columbia University graduate student Gordon Gould jots his ideas for building a laser in his notebook and has it notarized at a candy store in the Bronx. It is considered the first use of the acronym laser. Gould leaves the university a few months later to join private research company TRG (Technical Research Group). 1958: Townes, a consultant for Bell Labs, and his brother-in-law, Bell Labs researcher Arthur L. Schawlow, in a joint paper published in Physical Review Letters, show that masers could be made to operate in the optical and infrared regions and propose how it could be accomplished. At Lebedev Institute, Basov and Prokhorov also are exploring the possibilities of applying maser principles in the optical region. April 1959: Gould and TRG apply for laser-related patents stemming from Gould’s ideas. March 22, 1960: Townes and Schawlow, under Bell Labs, are granted US patent number 2,929,922 for the optical maser, now called a laser. With their application denied, Gould and TRG launch what would become a 30-year patent dispute related to laser invention. May 16, 1960: Theodore H. Maiman, a physicist at Hughes Research Laboratories in Malibu, Calif., constructs the first laser using a cylinder of synthetic ruby measuring 1 cm in diameter and 2 cm long, with the ends silver-coated to make them reflective and able to serve as a Fabry-Perot resonator. Maiman uses photographic flashlamps as the laser’s pump source. July 7, 1960: Hughes holds a press conference to announce Maiman’s achievement. November 1960: Peter P. Sorokin and Mirek J. Stevenson of the IBM Thomas J. Watson Research Center demonstrate the uranium laser, a four-stage solid-state device. December 1960: Ali Javan, William Bennett Jr. and Donald Herriott of Bell Labs develop the helium-neon (HeNe) laser, the first to generate a continuous beam of light at 1.15 μm. 1961: Lasers begin appearing on the commercial market through companies such as Trion Instruments Inc., Perkin-Elmer and Spectra-Physics. March 1961: At the second International Quantum Electronics meeting, Robert W. Hellwarth of Hughes Research Labs presents theoretical work suggesting that a dramatic improvement in the ruby laser could be made by making its pulse more predictable and controllable. He predicts that a single spike of great power could be created if the reflectivity of the laser’s end mirrors were suddenly switched from a value too low to permit lasing to a value that could. October 1961: American Optical Co.’s Elias Snitzer reports the first operation of a neodymium glass (Nd:glass) laser. December 1961: The first medical treatment using a laser on a human patient is performed by Dr. Charles J. Campbell of the Institute of Ophthalmology at Columbia-Presbyterian Medical Center and Charles J. Koester of the American Optical Co. at Columbia-Presbyterian Hospital in Manhattan. An American Optical ruby laser is used to destroy a retinal tumor. 1962: With Fred J. McClung, Hellwarth proves his laser theory, generating peak powers 100 times that of ordinary ruby lasers by using electrically switched Kerr cell shutters. The giant pulse formation technique is dubbed Q-switching. Important first applications include the welding of springs for watches. 1962: Groups at GE, IBM and MIT’s Lincoln Laboratory simultaneously develop a gallium-arsenide laser, a semiconductor device that converts electrical energy directly into infrared light but which must be cryogenically cooled, even for pulsed operation. June 1962: Bell Labs reports the first yttrium aluminum garnet (YAG) laser. October 1962: Nick Holonyak Jr., a consulting scientist at a General Electric Co. lab in Syracuse, N.Y., publishes his work on the “visible red” GaAsP (gallium arsenide phosphide) laser diode, a compact, efficient source of visible coherent light that is the basis for today’s red LEDs used in consumer products such as CDs, DVD players and cell phones. Early 1963: Barron’s magazine estimates annual sales for the commercial laser market at $1 million. 1963: Logan E. Hargrove, Richard L. Fork and M.A. Pollack report the first demonstration of a mode-locked laser; i.e., a helium-neon laser with an acousto-optic modulator. Mode locking is fundamental for laser communication and is the basis for femtosecond lasers. 1963: Herbert Kroemer of the University of California, Santa Barbara, and the team of Rudolf Kazarinov and Zhores Alferov of A.F. Ioffe Physico-Technical Institute in St. Petersburg, Russia, independently propose ideas to build semiconductor lasers from heterostructure devices. The work leads to Kroemer and Alferov winning the 2000 Nobel Prize in physics. March 1964: After two years working on HeNe and xenon lasers, William B. Bridges of Hughes Research Labs discovers the pulsed argon-ion laser, which, although bulky and inefficient, could produce output at several visible and UV wavelengths. 1964: The carbon dioxide laser is invented by Kumar Patel at Bell Labs. The most powerful continuously operating laser of its time, it is now used worldwide as a cutting tool in surgery and industry. 1964: The Nd:YAG (neodymium-doped YAG) laser is invented by Joseph E. Geusic and Richard G. Smith at Bell Labs. The laser later proves ideal for cosmetic applications, such as laser-assisted in situ keratomileusis (lasik) vision correction and skin resurfacing. 1965: Two lasers are phase-locked for the first time at Bell Labs, an important step toward optical communications. 1965: Jerome V.V. Kasper and George C. Pimentel demonstrate the first chemical laser, a 3.7-μm hydrogen chloride instrument, at the University of California, Berkeley. 1966: Charles K. Kao, working with George Hockham at Standard Telecommunication Laboratories in Harlow, UK, makes a discovery that leads to a breakthrough in fiber optics. He calculates how to transmit light over long distances via optical glass fibers, deciding that, with a fiber of purest glass, it would be possible to transmit light signals over a distance of 100 km, compared with only 20 m for the fibers available in the 1960s. Kao receives a 2009 Nobel Prize in physics for his work. 1966: French physicist Alfred Kastler wins the Nobel Prize in physics for his method of stimulating atoms to higher energy states, which he developed between 1949 and 1951. The technique, known as optical pumping, was an important step toward the creation of the maser and the laser. March 1967: Bernard Soffer and Bill McFarland invent the tunable dye laser at Korad Corp. in Santa Monica, Calif.
February 1968: In California, Maiman and other laser pioneers found the laser advocacy group Laser Industry Association, which becomes the Laser Institute of America in 1972. 1970: Gould buys back his patent rights for $1 plus 10 percent of future profits when TRG is sold. 1970: Basov, V.A. Danilychev and Yu. M. Popov develop the excimer laser at P.N. Lebedev Physical Institute. Spring 1970: Alferov’s group at Ioffe Physico-Technical Institute and Mort Panish and Izuo Hayashi at Bell Labs produce the first continuous-wave room-temperature semiconductor lasers, paving the way toward commercialization offiber optic communications. 1970: At Corning Glass Works (now Corning Inc.), Drs. Robert D. Maurer, Peter C. Schultz and Donald B. Keck report the first optical fiber with loss below 20 dB/km, demonstrating the feasibility of fiber optics for telecommunications. 1970: Arthur Ashkin of Bell Labs invents optical trapping, the process by which atoms are trapped by laser light. His work pioneers the field of optical tweezing and trapping and leads to significant advances in physics and biology. 1971: Izuo Hayashi and Morton B. Panish of Bell Labs design the first semiconductor laser that operates continuously at room temperature. 1972: Charles H. Henry invents the quantum well laser, which requires much less current to reach lasing threshold than conventional diode lasers and which is exceedingly more efficient. Holonyak and students at the University of Illinois at Urbana-Champaign first demonstrate the quantum well laser in 1977. 1972: A laser beam is used at Bell Labs to form electronic circuit patterns on ceramic. June 26, 1974: A pack of Wrigley’s chewing gum is the first product read by a bar-code scanner in a grocery store. 1975: Engineers at Laser Diode Labs Inc. in Metuchen, N.J., develop the first commercial continuous-wave semiconductor laser operating at room temperature. Continuous-wave operation enables transmission of telephone conversations. 1975: First quantum-well laser operation made by Jan P. Van der Ziel, R. Dingle, Robert C. Miller, William Wiegmann and W.A. Nordland Jr. The lasers actually are developed in 1994. 1976: First demonstration, at Bell Labs, of a semiconductor laser operating continuously at room temperature at a wavelength beyond 1 μm, the forerunner of sources for long-wavelength lightwave systems. 1976: John M.J. Madey and his group at Stanford University in California demonstrate the first free-electron laser (FEL). Instead of a gain medium, FELs use a beam of electrons that are accelerated to near light speed, then passed through a periodic transverse magnetic field to produce coherent radiation. Because the lasing medium consists only of electrons in a vacuum, FELs do not have the material damage or thermal lensing problems that plague ordinary lasers and can achieve very high peak powers. 1977: The first commercial installation of a Bell Labs fiber optic lightwave communications system is completed under the streets of Chicago. Oct. 11, 1977: Gould is issued a patent for optical pumping, then used in about 80 percent of lasers. 1978: The LaserDisc hits the home video market, with little impact. The earliest players use HeNe laser tubes to read the media, while later players use infrared laser diodes. 1978: Following the failure of its videodisc technology, Philips announces the compact disc (CD) project. 1979: Gould receives a patent covering a broad range of laser applications. 1981: Schawlow and Bloembergen receive the Nobel Prize in physics for their contributions to the development of laser spectroscopy. 1982: Peter F. Moulton of MIT’s Lincoln Laboratory develops the titanium-sapphire laser, used to generate short pulses in the picosecond and femtosecond ranges. 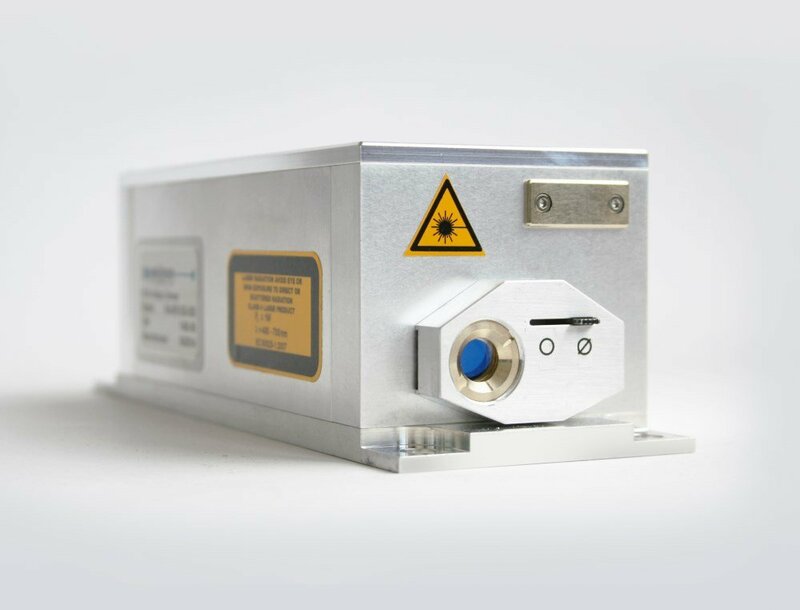 The Ti:sapphire laser replaces the dye laser for tunable and ultrafast laser applications. October 1982: The audio CD, a spinoff of LaserDisc video technology, debuts. Billy Joel fans rejoice, as his 1978 album “52nd Street” is the first to be released on CD. 1985: Bell Labs’ Steven Chu (now US Secretary of Energy) and his colleagues use laser light to slow and manipulate atoms. Their laser cooling technique, also called “optical molasses,” is used to investigate the behavior of atoms, providing an insight into quantum mechanics. Chu, Claude N. Cohen-Tannoudji and William D. Phillips win a Nobel Prize for this work in 1997. 1987: David Payne at the University of Southampton in the UK and his team introduce erbium-doped fiber amplifiers. These new optical amplifiers boost light signals without first having to convert them into electrical signals and then back into light, reducing the cost of long distance fiber optic systems. 1988: Gould begins receiving royalties from his patents. 1994: The first semiconductor laser that can simultaneously emit light at multiple widely separated wavelengths – the quantum cascade (QC) laser – is invented at Bell Labs by Jérôme Faist, Federico Capasso, Deborah L. Sivco, Carlo Sirtori, Albert L. Hutchinson and Alfred Y. Cho. The laser is unique in that its entire structure is manufactured a layer of atoms at a time by the crystal growth technique called molecular beam epitaxy. Simply changing the thickness of the semiconductor layers can change the laser’s wavelength. With its room-temperature operation and power and tuning ranges, the QC laser is ideal for remote sensing of gases in the atmosphere. 1994: The first demonstration of a quantum dot laser with high threshold density is reported by Nikolai N. Ledentsov of A.F. Ioffe Physico-Technical Institute. November 1996: The first pulsed atom laser, which uses matter instead of light, is demonstrated at MIT by Wolfgang Ketterle. January 1997: Shuji Nakamura, Steven P. DenBaars and James S. Speck at the University of California, Santa Barbara, announce the development of a gallium-nitride (GaN) laser that emits brightblue-violet light in pulsed operation. September 2003: A team of researchers from NASA’s Marshall Space Flight Center in Huntsville, Ala., from NASA’s Dryden Flight Research Center at Edwards Air Force Base in California and from the University of Alabama in Huntsville successfully flies the first laser-powered aircraft. The plane, its frame made of balsa wood, has a 1.5-m wingspan and weighs only 311 g. Its power is delivered by an invisible ground-based laser that tracks the aircraft in flight, directing its energy beam at specially designed photovoltaic cells carried onboard to power the plane’s propeller. 2004: Electronic switching in a Raman laser is demonstrated for the first time by Ozdal Boyraz and Bahram Jalali of the University of California, Los Angeles. 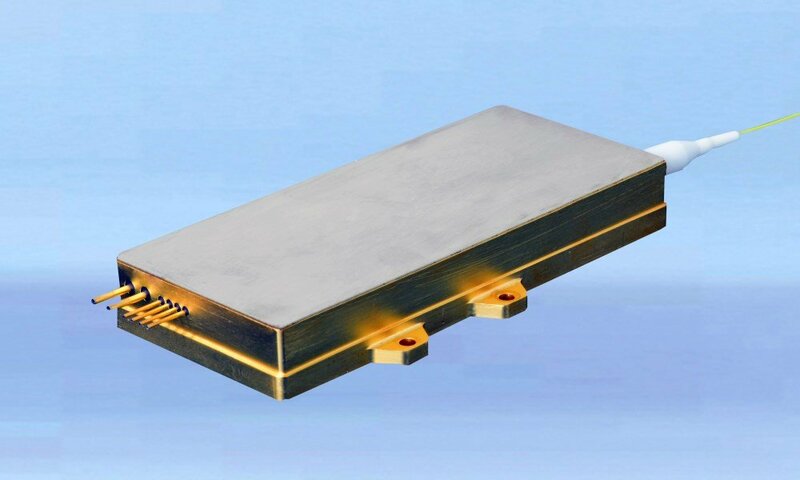 The first silicon Raman laser operates at room temperature with 2.5-W peak output power. 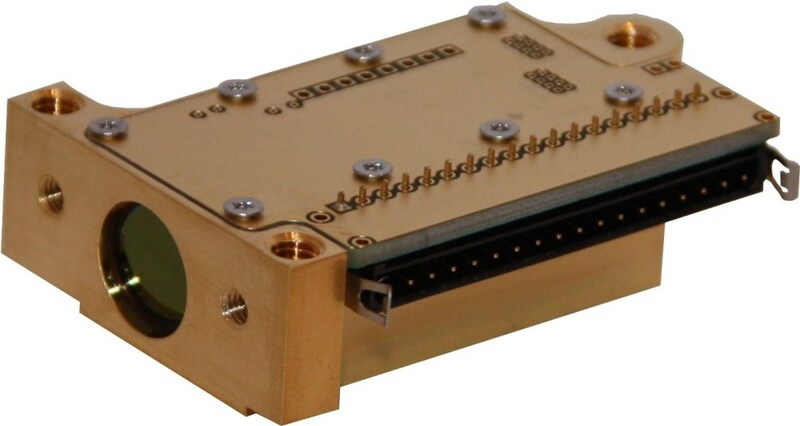 In contrast to traditional Raman lasers, the pure-silicon Raman laser can be directly modulated to transmit data. September 2006: John Bowers and colleagues at the University of California, Santa Barbara, and Mario Paniccia, director of Intel Corp.’s Photonics Technology Lab in Santa Clara, Calif., announce that they have built the first electrically powered hybrid silicon laser using standard silicon manufacturing processes. The breakthrough could lead to low-cost, terabit-level optical data pipes inside future computers, Paniccia says. August 2007: Bowers and his doctoral student Brian Koch announce that they have built the first mode-locked silicon evanescent laser, providing a new way to integrate optical and electronic functions on a single chip and enabling new types of integrated circuits. May 2009: At the University of Rochester in New York, researcher Chunlei Guo announces a new process that uses femtosecond laser pulses to make regular incandescent lightbulbs superefficient. The laser pulse, trained on the bulb’s filament, forces the surface of the metal to form nanostructures that make the tungsten become far more effective at radiating light. The process could make a 100-W bulb consume less electricity than a 60-W bulb, Guo says. May 29, 2009: The largest and highest-energy laser in the world, the National Ignition Facility (NIF) at Lawrence Livermore National Laboratory in Livermore, Calif., is dedicated. In a few weeks, the system begins firing all 192 of its laser beams onto targets. June 2009: NASA launches the Lunar Reconnaissance Orbiter (LRO). The Lunar Orbiter Laser Altimeter on the LRO will use a laser to gather data about the high and low points on the moon. NASA will use that information to create 3-D maps that could help determine lunar ice locations and safe landing sites for future spacecraft. September 2009: Lasers get ready to enter household PCs with Intel’s announcement of its Light Peak optical fiber technology at the Intel Developer Forum. Light Peak contains vertical-cavity surface-emitting lasers (VCSELs) and can send and receive 10 billion bits of data per second, meaning it could transfer the entire Library of Congress in 17 minutes. The product is expected to ship to manufacturers in 2010. December 2009: Industry analysts predict the laser market globally for 2010 will grow about 11 percent, with total revenue hitting $5.9 billion. January 2010: The National Nuclear Security Administration announces that NIF has successfully delivered a historic level of laser energy – more than 1 MJ – to a target in a few billionths of a second and demonstrated the target drive conditions required to achieve fusion ignition, a project scheduled for the summer of 2010. The peak power of the laser light is about 500 times that used by the US at any given time. March 31, 2010: Rainer Blatt and Piet O. Schmidt and their team at the University of Innsbruck in Austria demonstrate a single-atom laser with and without threshold behavior by tuning the strength of atom/light field coupling. July 2012: The National Ignition Facility’s 192-beam laser system delivered a record-breaking 500 TW of peak power and 1.85 MJ of ultraviolet laser light to its target. January 27, 2014: Dr. Charles Hard Townes, whose work on stimulated emission led to the creation of lasers and enabled the photonics industry, died Jan. 27 at age 99. July 2018: Lawrence Livermore National Laboratory’s National Ignition Facility laser system set a new record, firing 2.15 MJ of energy to its target chamber. This is a 15 percent improvement over NIF’s design specification of 1.8 MJ, and more than 10 percent higher than the previous 1.9-MJ energy record set in March 2012.